Assume for a moment that you are the owner of a residence that recently had some renovations completed and one day you discover that a lien has been recorded upon your property. Or, alternatively, you are a general contractor and are required to indemnify the owner for any construction liens recorded against the project, and the subcontractor that you currently have a dispute with records a claim of lien. A claim of lien in Florida lives for one year from the date of recording of the lien. Section 713.22, Fla. Stat. As such, the claim of lien isn’t going anywhere anytime soon; below is a brief discussion of four options available. First, as the owner of the residence you may want to consider waiting it out and determining if the lienor seeks to timely enforce their lien rights within the requisite on year time period pursuant to section 713.22, Fla. Stat. Unfortunately, in practicality this usually not a viable option, rarely does an owner want to wait upwards of almost of a year to see if a lienor is going to file an action to enforce its lien rights. Further, this option, is rarely, if ever, viable for the general contractor. Second, an action to show cause pursuant to section 713.21, Fla. Stat., can be filed, this action shortens the timeframe to foreclose upon the lien to twenty (20) days from service of the summons upon the lienor. 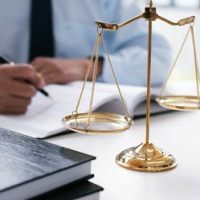 Specifically, the lienor receives an order to show cause within twenty (20) days why his or her lien should not be enforced by action or vacated and canceled of record. Upon receipt of the order to show cause, the lienor will have twenty (20) days to foreclose upon its claim of lien, failure to do so will result in discharge of the claim of lien by the court. Third, record a notice of contest of lien pursuant to section 713.22, Fla. Stat., this shortens the timeframe to foreclose on a claim of lien to sixty (60) days after service of the notice of contest of lien. Once the notice of contest of lien is recorded the clerk serves it on the lienor at the address in the lien thereby putting the lienor on notice that it must foreclose within sixty (60) days, failure to do so will result in the extinguishment of the lienor’s claim of lien. Fourth, the lien can be transferred to alternative security, such as a lien transfer bond. This is often times the most efficient method in terms of time to address a recorded claim of lien, however, it is very costly. Pursuant to section 713.24, Fla. Stat., where cash or a surety bond is posted with the court “in an amount equal to the amount demanded in such claim of lien, plus interest thereon at the legal rate for 3 years, plus $1,000 or 25 percent of the amount demanded in the claim of lien, whichever is greater, to apply on any attorney’s fees and court costs that may be taxed in any proceeding to enforce said lien.” A lienor must be careful if their lien is transferred to a lien transfer bond, if the lien transfer occurs after the commencement of the lienor’s action to enforce its lien rights then the lienor has one year from the date of the transfer to amend its pleading to assert a claim against the bond. Sweeney Law, P.A. is ready to assist in any claim of lien issue or other construction dispute that may arise in Florida. Brendan A. Sweeney, Esq. has represented all tiers of the construction industry throughout the state of Florida in major construction and real estate related litigation.